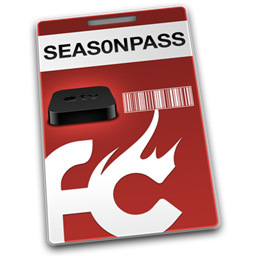 Seas0nPass supports a tethered jailbreak of the 4.4.1 (iOS 5 – 9A335a) software that was released on 10/17/2011. 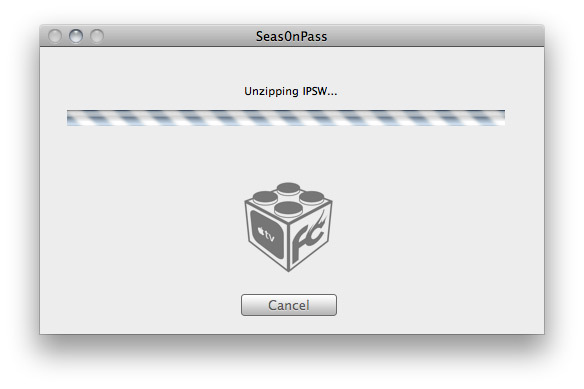 The current version of Seas0nPass will default to an untethered jailbreak for the previous 4.3 (iOS 4.3 – 8F455) version. 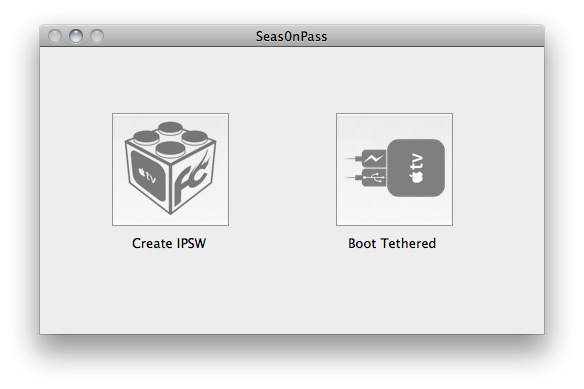 An untethered jailbreak means the steps listed under the “Using Seas0nPass for a tethered boot” section are not required. 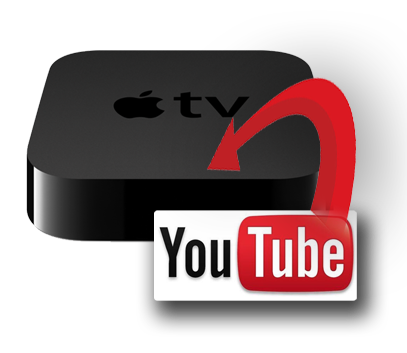 Details on using Seas0nPass to jailbreak the new 4.4.1 AppleTV software can be found here. Latest version of Seas0nPass (use links above). 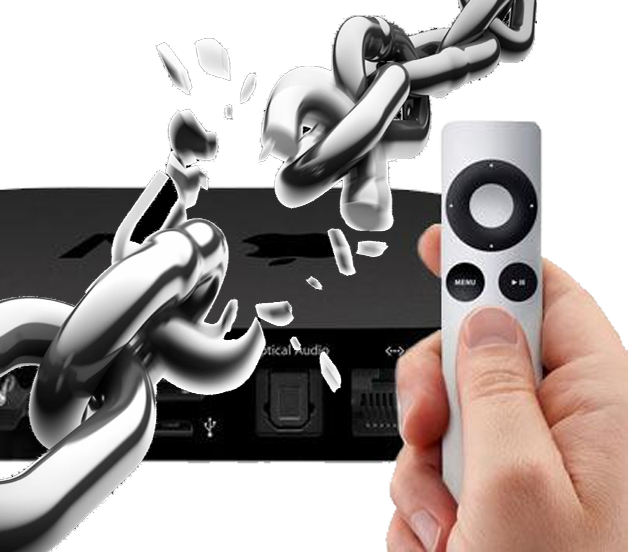 Disconnect any iPods, iPhones, and iPads from your computer. 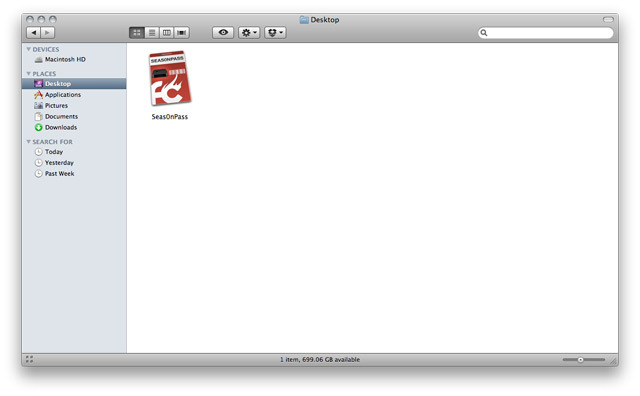 Step 2: Select the ‘Create IPSW’ button to start the jailbreak process. 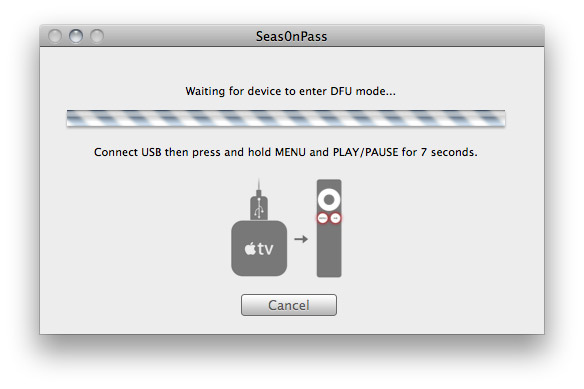 Step 4: When prompted, connect your AppleTV to your Mac/PC using a micro-USB cable (leave power disconnected), and hold both the ‘MENU’ and ‘PLAY/PAUSE’ buttons for 7 seven seconds. 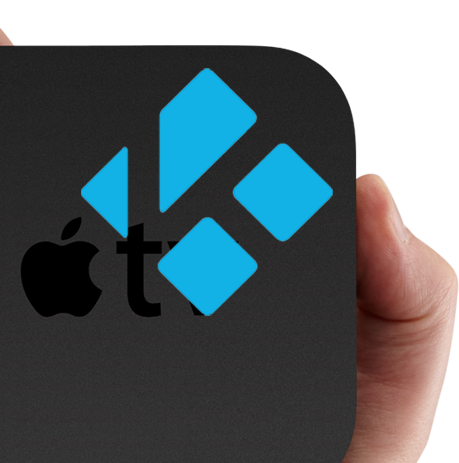 Step 6: iTunes will confirm the restore when complete – your AppleTV is now jailbroken! 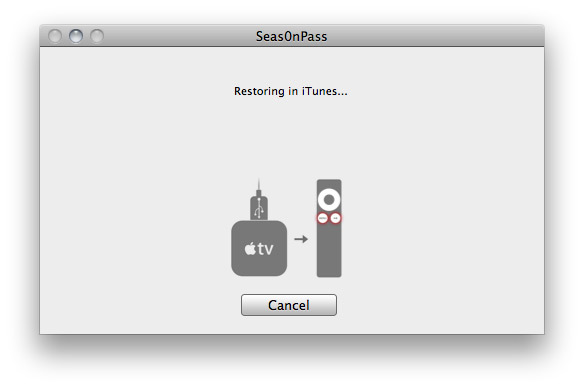 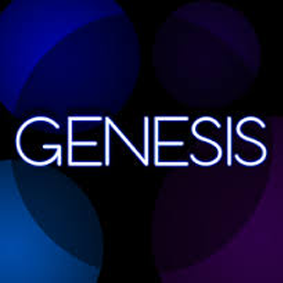 Note: The current version will not add a Seas0nPass menu to the AppleTV – this is something that will be resolved soon.